As many of you know, Nick and I have recently returned to Vancouver from a wonderful two weeks home in Sydney. 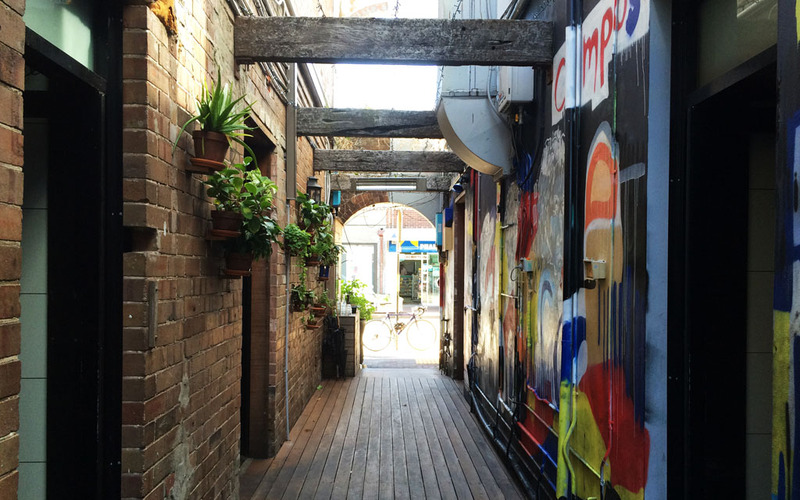 Aside from enjoying the delights of catching up with family and friends, and experiencing Sydney’s gloriously sunny spring days Nick and I also jumped at the opportunity to try out a handful of Sydney eateries. Regardless of whether they were new discoveries or old favourites, each one reminded me of how diverse and extensive Sydney’s food scene is. 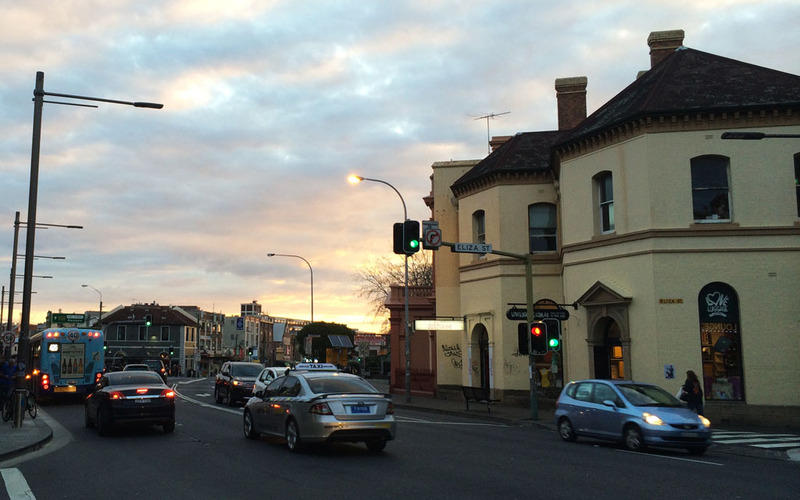 So much so I was constantly adding cafes, restaurants, and bars to my Sydney ‘to try list’. Unfortunately, our time was rather limited in Sydney so we couldn’t visit all of the places we would have liked to, but for the establishments we did manage to get to, boy were they good! A particular stand out meal was dished up at Three Blue Ducks, a casual eatery located in Sydney’s beach side suburb of Bronte. We were there for lunch, and I strongly recommend the steak sandwich ($18). The thinly sliced strips of meat were tender and deliciously juicy, the bread lightly toasted, while the red pepper mayo was sweet and tangy. 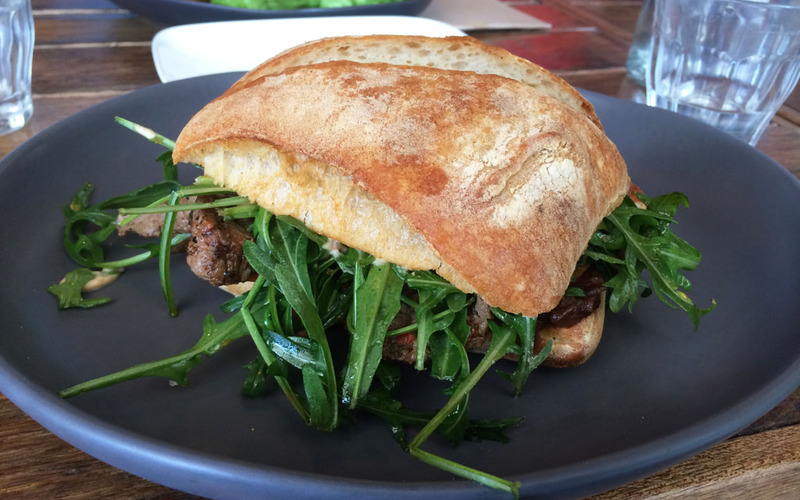 Gourmet and hearty, the Three Blue Duck’s steak sandwich was truly scrumptious. As were the freshly squeezed juices ($7). Apart from steak sandwiches and fresh juices, Three Blue Ducks also offers a wide range of other fantastic meals, like avocado toast with herb salad and oven roasted tomatoes (definitely opting for this dish on my next visit), pan roasted mulloway, squid ink fettuccine and a whole lot more. 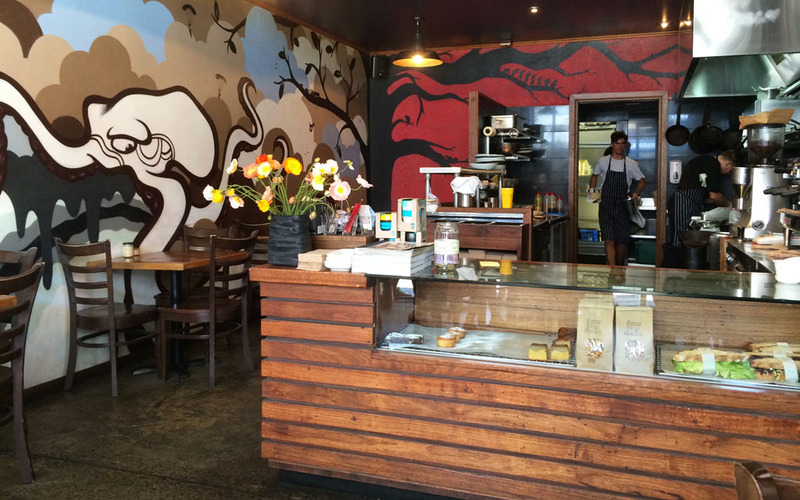 With such a delicious menu, it should come as no surprise that Three Blue Ducks has become an incredibly popular hangout with locals for breakfast, brunch and coffee, as well as a sort-after dining destination in the evenings. 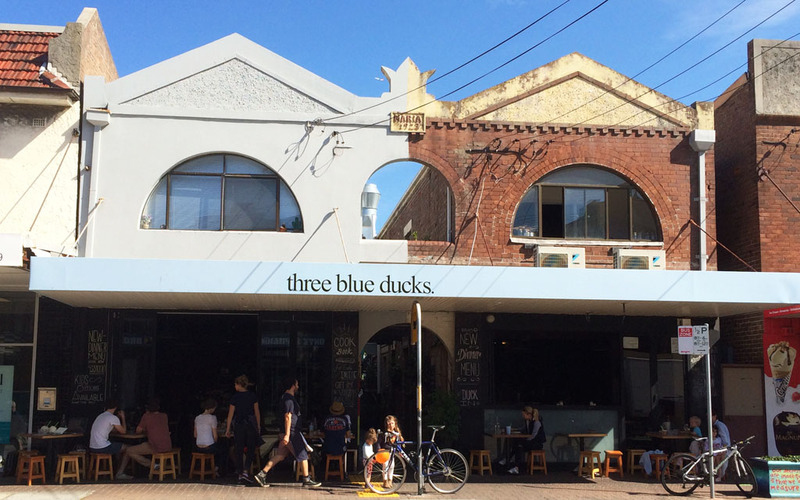 Three Blue Ducks may offer a casual cafe setting by day, however, by night, it turns into a smart casual dinner spot, where the menu is a little more sophisticated and tables book out weeks in advance. Yet, no matter what time of day it is, patrons are guaranteed top quality food made from fresh, local and chemical free produce. The team at Three Blue Ducks are committed to using only organic ingredients wherever possible. They even grow some of their own vegetables and herbs in the restaurants veggie patch out the back, which is complete with roaming chooks. While the restaurant’s great tasting food is a huge reason for people coming back time and time again, it is not the only one. The restaurants laid back atmosphere is also a big draw. Friendly staff, mural painted walls, a hanging garden and an open kitchen not only add to the Three Blue Duck’s overall character and charm but make the restaurant an inviting and warm space. 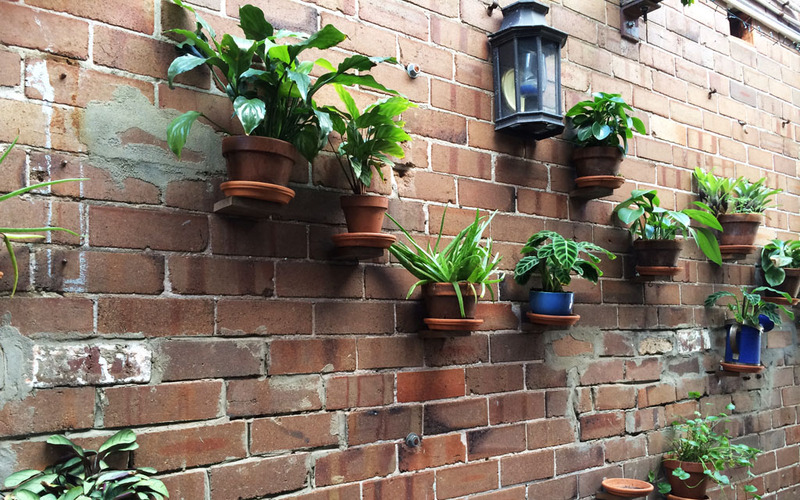 With lovely surroundings, fresh quality ingredients, innovative meals, vegetarian options, and great coffee, Three Blue Ducks should be high on every Sydneysiders list of restaurants to visit. As a lot of you already know, Nick and I have recently returned to Vancouver after two wonderful weeks in Sydney. While the purpose of our visit back home was mainly for Nick’s brothers wedding, it provided Nick and I with an excellent excuse to venture home for a couple of weeks to catch up with family and friends. What a fu- filled and jam-packed two weeks home it was! Two weeks filled with sun, laughter, hugs, a coastal getaway, quality time with family and friends, the most beautiful Blue Mountains wedding, breakfasts in Enmore, lunches in Bronte, dinners in Balmain, and a whole lot more. As Sydney is still very much on my mind, the next few posts will undoubtedly be on some of the moments and meals (no surprise there) I had whilst I was back. So please stay tuned. Wendy’s Secret Garden is an oasis of calm and quiet hidden amongst the built up area of North Sydney, along the edge of Sydney Harbour at Lavender Bay. Although the garden is not exactly ‘secret’ anymore, this particular spot was completely unknown to me. That was until a good friend arranged a lovely picnic lunch there on a recent trip back home. 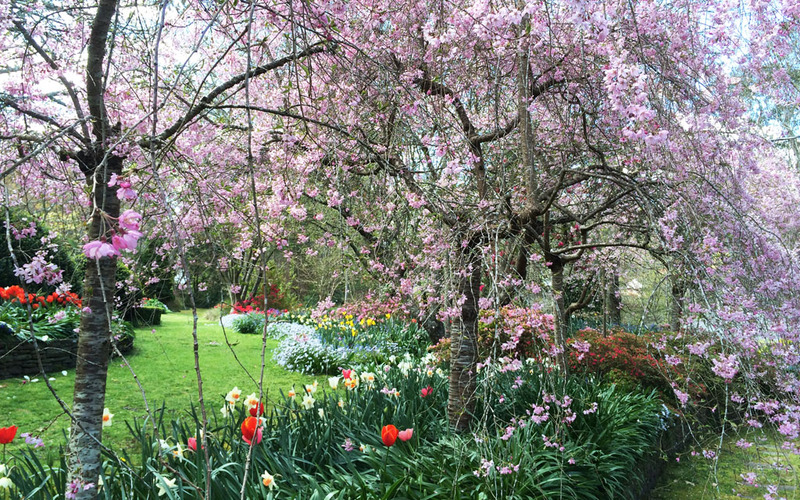 Wendy Whiteley, wife of the late Australian artist Brett Whiteley, created the garden after his death in 1992. 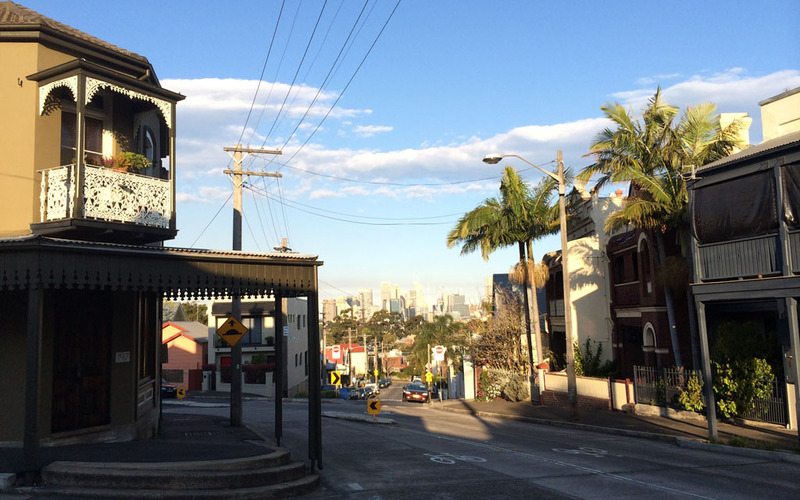 Whiteley channelled her grief into the restoration of this once derelict, unruly piece of land, owned by the NSW Rail Corporation. In doing so, she transformed the old railway dumping ground into a wonderfully tranquil green space. The project, which was at Whiteley’s own expense, was a labour of love and loss. Both the ashes of Brett Whiteley and daughter Arkie Whiteley are buried there. 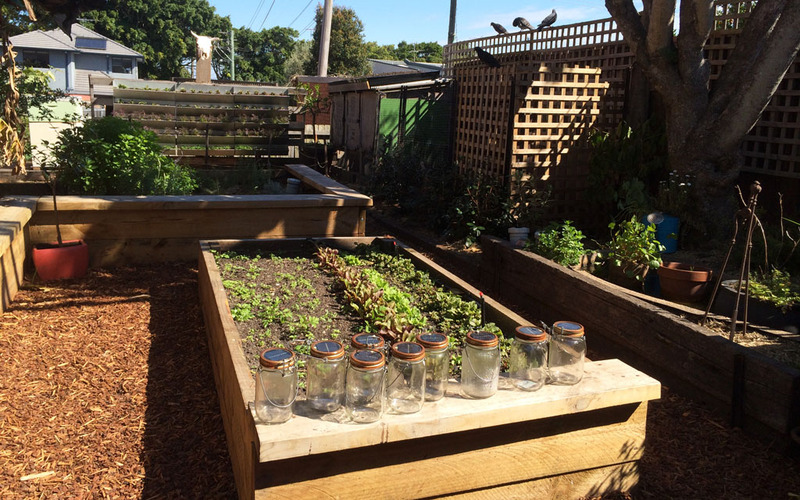 At first glance the community garden appears to be privately owned, as it is so beautifully maintained and backs onto a line of Lavender Bay residences (the garden actually lies adjacent to Whiteley’s own home and garden). However the parkland is freely open to the public to enjoy. And enjoy it the public does! The garden is such a delightful spot to stop, sit, read and picnic. 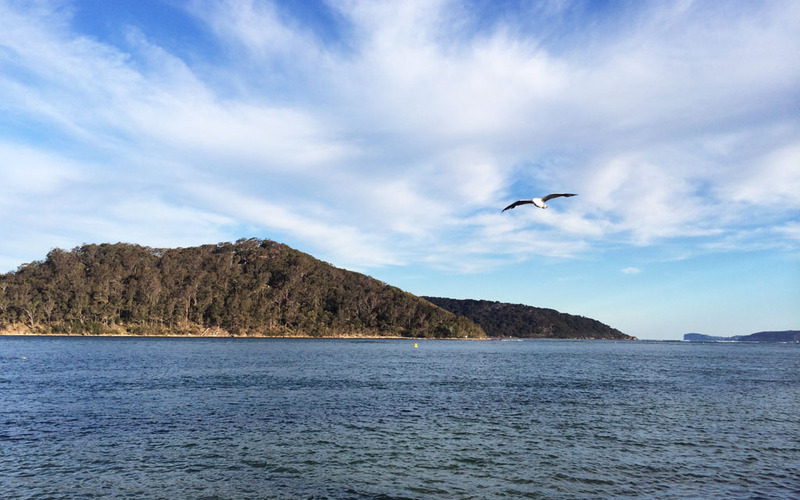 It’s also the perfect place to soak up the glorious Sydney sun and the extensive views of Sydney Harbour. Within the lush and vibrant garden there are sculptures, native plants, herbs, jacaranda trees, secluded nature paths and grassy areas, as well as a number of benches and picnic tables. A towering Moreton Bay Fig tree provides shady, leafy relief to visitors from the blistering summer sun, as do sun umbrellas, which have been thoughtfully placed around the garden. Located between Clark Park on Lavender Street and the Lavender Bay Rail Yard, Wendy’s Secret Garden is not always the easiest place to find. But once you do I know you will absolutely fall in love with it like I did, so much so that I went back to wander around within a few days of my first visit. Transport: Take bus or train to North Sydney station. From there it's only a short stroll down the hill. At the junction of Lavender Street and Walker Street look out for stairs next to Harbourside Indian restaurant - they lead directly to the garden.